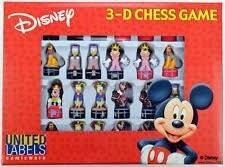 Fun Disney chess of the late twentieth century with all the classic Disney family from Mickey, Donald, Gufi or Mini Mouse. 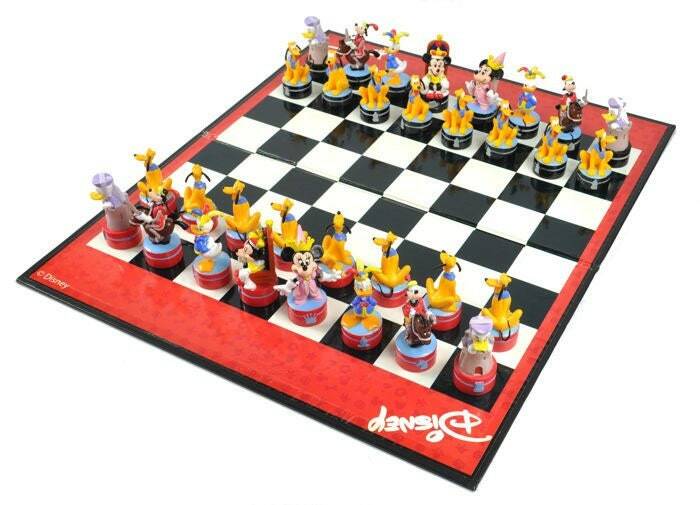 A very successful design chess where the pieces are flexible and very resistant PVC. 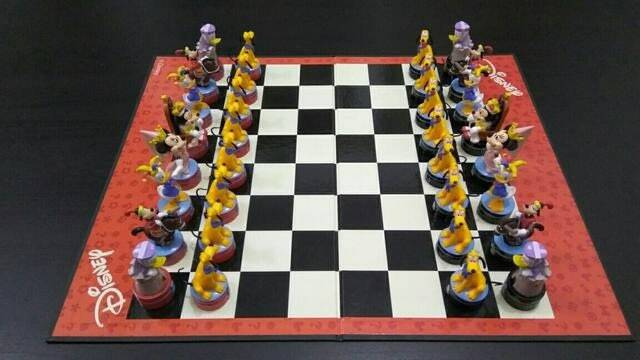 It comes with its board and original box. All in good condition.